Death-Notice* 5 Aug 1946 BROWN.-On August 4 at Dandenong, Alfred John, the dearly beloved husband of Alice Brown, of St. Georges road, Beaconsfield Upper, and loving father of Alice (Mrs. Woods, deceased), Alfred, William (1st A.I.F.. killed In action, 1916); Charles (deceased), Walter, Ernest, Emily (Mrs. Cramer), and Muriel (Mrs Bickham), aged 71 years. -At rest. [S185] Property Titles. ; PROV (Public Records Office Victoria), C/T 4215-909 - Alfred John Brown of "Hughenden" O'Neill Road Beaconsfield Case Maker. [S185] Property Titles. ; PROV (Public Records Office Victoria), C/T 4215-909 - Mortgage No 411934. [S29] Nominal Roll, Australian War Memorial - WWI, note in military file of his son William Lawrence Brown. [S185] Property Titles. ; PROV (Public Records Office Victoria), C/T 4215-909 - Albert Edward Allen of 2 Ash Grove Caulfield Tobacconist. [S11] Newspaper - Argus 5 Aug 1946 p2. [S65] Ancestry - various indices, 1901 census: Class: RG13; Piece: 1563; Folio: 93; Page: 44. CHURCH OF ENGLAND, MONUMENTAL, COMPARTMENT K SECTION 4 GRAVE 13. [S218] Newspaper - The Dandenong Journal (1927-1954) "14 Aug 1946, p4." Death-Notice* 22 Dec 1958 BROWN. -On December 21, at her home, Alice, beloved wife of the late Alfred, and loving mother of Alice (deceased), Alfred, Charles (deceased), William (deceased), Walter, Ernest (deceased), Emily and Muriel, aged 83 years. [S22] Victorian Government. BDM Index Victoria (online) "#D15596 birthplace London." [S16] Newspaper - The Age 22 Dec 1958, p9. THE fruitgrowing potentialities of the country in the neighborhood of Beaconsfield Upper, in the Shire of Berwick, 35 miles east from Melbourne have been demonstrated in a convincing fashion. Nearly 40 years have passed since apples, pears, peaches, apricots, cherries, plums and lemons were planted there. The early trees made good progress, and bore substantial crops. Development, however, was seriously handicapped by the condition of the roads. There is now an excellent highway connecting Beaconsfield Upper, at 600 to 800 feet above sea level, with the metro politan area by way of Beaconsfield, Berwick and Dandenong. The district roads are moderately good, and the op portunities for those who have a desire to become orchardists are most appeal ing. Thousands of acres of uncleared land may be purchased at £3 to £5 an acre. Although the soil at Beaconsfield Upper is not rich, it is quite suitable for fruit trees, and there is a fairly reliable rainfall of approximately 40 inches. [S185] Property Titles. ; PROV (Public Records Office Victoria), C/T 3667-394 - Walter Henry Brown of Upper Beaconsfield Gentleman - C/T 4537-329. [S185] Property Titles. ; PROV (Public Records Office Victoria), C/T 3667-395 + 3667-396 - Walter Henry Brown of "Runnymede" Upper Beaconsfield Orchardist - C/T 5796-172. [S185] Property Titles. ; PROV (Public Records Office Victoria), C/T 1065-896 - Walter Henry Brown of St Georges Road Upper Beaconsfield - C/T 6982-398. [S185] Property Titles. ; PROV (Public Records Office Victoria), C/T 4537-329 - Felice Ciphera Aarons of 4 Auburn Grove Armadale Spinster - C/T 7333-429. [S185] Property Titles. ; PROV (Public Records Office Victoria), C/T 5796-172 - Ronald Aaron Murphy of Army Road Pakenham East Orchardist - C/T 7655-009. [S185] Property Titles. ; PROV (Public Records Office Victoria), C/T 3727-336 - Walter Henry Brown of Upper Beaconsfield Orchardist - C/T 8092-549. [S185] Property Titles. ; PROV (Public Records Office Victoria), C/T 5796-172 - Mary Ann Windmill of South Street Belmont Geelong Married Woman - C/T 7754-018. [S185] Property Titles. ; PROV (Public Records Office Victoria), C/T 4537-329 - Allan Ruggles Cook Plumber and Florence Martha Ann Cook Married Woman both of St Georges Road Upper Beaconsfield - joint proprietors - C/T 7550-189. [S185] Property Titles. ; PROV (Public Records Office Victoria), C/T 5646-172 - Allan Ruggles Cook Plumber and Florence Martha Ann Cook Married Woman both of St Georges Road Upper Beaconsfield. [S185] Property Titles. ; PROV (Public Records Office Victoria), C/T 8092-549 - Allan Ruggles Cook Plumber and Florence Martha Ann Cook Married Woman both of St Georges Road Upper Beaconsfield. [S185] Property Titles. ; PROV (Public Records Office Victoria), C/T 5796-172 - Allan Ruggles Cook Plumber and Florence Martha Ann Cook Married Woman both of St Goerges Road Upper Beaconsfield - C/T 7754-019. [S185] Property Titles. ; PROV (Public Records Office Victoria), C/T 5796-172 - Emma Mary Graham Married Woman and Francis James Augustus Graham Motor Parts Manager both of 21 Park Street Mordialloc - joint proprietors - C/T 7754-020. [S185] Property Titles. ; PROV (Public Records Office Victoria), C/T 5796-172 - Maude Helen McTaggart of St Georges Road Upper Beaconsfield Widow - C/T 8109-658. [S35] Probate Records, PROV (Public Records Office Victoria), VPRS 28/P5, unit 1213; VPRS 7591/P4, unit 213. [S14] Newspaper - Weekly Times, 25 Jul 1931, p46. [S11] Newspaper - Argus 24 Apr 1932, p11. Death-Notice* 1 Aug 1953 BROWN.— On July 31, at his residence, Wood Street, Flinders, Ernest Richard, beloved husband of Ruby Aileen, loving father of Valda, William, Walter, Ronald, Shirley and Gwenda; father-in-law of Jean; grandpa of Julie. At rest. BROWN. — The Funeral of tha late Mr. ERNEST RICHARD BROWN will leave his residence, Wood street, FLINDERS, THIS DAY, at 11.30 a.m., for the Flinders Cemetery. [S185] Property Titles. ; PROV (Public Records Office Victoria), C/T 2489-610 - Ernest Richard Brown of Upper Beaconsfield Cartage Contractor - C/T 6905-986. [S185] Property Titles. ; PROV (Public Records Office Victoria), C/T 6905-986 - Mortgage No 863828 - discharged 22 Apr 1948. [S185] Property Titles. ; PROV (Public Records Office Victoria), C/T 6905-986 - Herbert Coxon of 53 Sebastopol Street, East St Kilda. [S5] Registry of Births Deaths and Marriages Death Index Victoria 1921-1985 "registered Hastings." [S22] Victorian Government. BDM Index Victoria (online) "#D20959 birthplace London England." [S4] Registry of Births Deaths and Marriages Great War Index Victoria 1914-1920 "#B20280/1916." [S25] School Records - Beaconsfield North 2560: gives birth date 17 Jul 1916. [S80] Ancestry - Family Tree, Campbell Family Tree: lizzipoulton provides date of death. [S5] Registry of Births Deaths and Marriages Death Index Victoria 1921-1985 "#D18779 age 85 [par William KELLY & Anna Maria Emily UBRIHIEN]." [S5] Registry of Births Deaths and Marriages Death Index Victoria 1921-1985 "#D28170 age 81 [par Alex JOHNSTON & Jane Arniell LINDSAY]." [S5] Registry of Births Deaths and Marriages Death Index Victoria 1921-1985 "#D18779/1973 states parents as William KELLY & Anna Maria Emily UBRIHIEN." [S22] Victorian Government. BDM Index Victoria (online) "#D18779/1973 states parents as KELLY Unknown & Unknown." Outbuildings: Wash-house • with Copper and Troughs, Garage and Workshop (18ft. x 16ft.) with Gable Roof, Fowl Pen. Sunken Terraced Garden with Stone Walls and Fence, Ornamental Shrubs, Fruit, Trees Concrete Paths, Adequate Water Supply, Elec. Light and Telephone pass property. Bus passes door. Close to Montana Golf Links, P.O. and General Store. LAND : 165 ft. x 156 ft. (3 excellent Building Blocks). TERMS : Cash in 30 days. INSPECTION: By appointment with agents and on day of sale. [S185] Property Titles. ; PROV (Public Records Office Victoria), C/T 5054-669 - Archibald Johnston of Emerald Road Beaconsfield Pensioner. [S5] Registry of Births Deaths and Marriages Death Index Victoria 1921-1985 "#D166/1978 age 65." 4-591-B Johnston Aileen Gwenda F 63 22/10/1984 1939. [S22] Victorian Government. BDM Index Victoria (online) "#D24752/1984 - Place of birth Hobart Tasmania." Land-Note 13 Apr 1886 To Mr Sanderson Gembrook West. I have to return the cheque of Chas Souter forwarded by Mr Sanderson in payment of survey fees of 250 acres at Gembrook as I am informed by the Lands Department the application has been declared abandoned and the land will be thrown open for selction under the Land Act 1884. Cheque £15 on Colonial Bank Frankston enclosed. Land-Note* 27 Apr 1886 GEM--M: Leigh Hill, Frankston April 27th 1886. Mr Gaunson. Dear Sir, Yours of the 22nd to hand. Thank you for interesting yourself on Sandersons account and I do hope you will succeed in getting Sandersons application for land at Gembrook, as it would be very hard for him not to get it. I know the man to be deserving and works very hard. He has never selected before, has been in the colony 20 years and has saved upwards £300. He was about to leave on a trip to (? )land and I induced him to take up land instead of spending his money going away, and gave him the necessary information re the selecting as I have done [for] scores of other persons. Beyond this I have no personal interest in this land. The man has worked for me on and off 15 years and has also been in Mr Akehurst P.M. employ who gave him an excellent character. I enclose Sandersons statement. He brought it over today but it is not testified before a justice, he did not understand that part of your letter. So I am keeping him here at Frankston to do up my garden for a few days in case he may be wanted. I would not take his declaration as it might appear that I was more interested than I have said, but I believe the enclosed statement is true in every particular. I thank you again on behalf of Sanderson and trust he may have speedy possession. Land-Note 22 May 1886 GEM--M: It is supposed that Sanderson has only become anxious to obtain this land since he has heard the proposed railway is to be very near it. I beg to suggest that the land be withdrawn from selection pending further enquiry. Land-Note 20 Apr 1887 To Mr Brisbane Esq. Beaconsfield. Leigh Hill, Frankston April 20th 1887. Mr Brisbane, Dear Sir, I have never heard anything from the Land department about being allowed to occupy my land at Gembrook. If you remember this land was granted to me by the land board at the same time as your application for 640 acres was granted. The survey fees was immediately paid and I am waiting most anxiously to go on to the land I wanted to settle down before the winter set in and I cannot think the reason of the delay, unless the surveyor has neglected to survey it. It would be some inconvenience for me to come to Melbourne to see about it. Would it be troubling you too much and would you oblige me by inquiring about this if you are at the Land Office any day soon. Land-Note 7 Jan 1888 GEM--M1: Applies to select 117 acres out of his grazing area as an agricultural allotment. 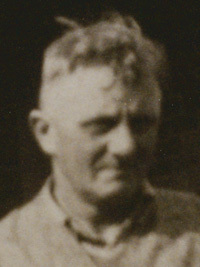 Sanderson stated that he was a farm labourer and gardener, chiefly working at Frankston. Land-Note 9 Jun 1888 GEM--M1: Frankston June 9th 1888. The Honourable The Secretary for Lands. Sir, The enclosed letter only reached me today. I am working for Mr Souter at Frankston and had left word with Mr Wade Postmaster Gembrook West to send my letters to me here and he does so, but the enclosed was addressed Gembrook East and it has been knocking around the country for over a month now. Put Gembrook West on the inside right enough when I got your letter telling me to sign release of Pastoral lease. I did so and sent it to you. I also sent the lease and registered the letter at least my master Mr Souter did so for me, it must be in your office. I want the licence to occupy my land as soon as you can let me have it, because I don't want to lose this season like I did last year. I was told I must not fence the land or build before I get the licence. May I make a start? I shall finish my job here in a fortnight. Please let me know this as early as possible, am sending the letter to P. Office Frankston. I have been to the Post Office at Frankston and got a duplicate receipt of the registered letter I sent and enclose it for you to see. I think it must be the one Mr Souter sent for me. Land-Note 16 Jul 1894 GEM--M1: Being the holder of Licence No 1666 under Section 42... and having occupied the said land for a period of at least three and a half years, and having complied with the conditions of such licence, I hereby apply for a Lease of said land, and for the certificate of the Board of Land and Works for the improvements thereon. Although not all of the land was enclosed (the western boundary was still to be fenced, as he was waiting to clear the line from timber and scrub), Sanderson had put up 35 chains of post and 2 rails, split stuff fences; 51.5 chains of post rail and wire; 16 chains of post and wire; and 14 chains of log fences, valued at £60-11-0. His neighbours, Messrs Lyne and C.H.S. Ladd had contributed to the cost of fencing. He had erected a weatherboard house with iron roof 45x30 feet value £350; stabling, barn, shed, pig styes &c. 50x14x18 feet made from palings with an iron roof over all, value £55. He did not have water storage as he had natural creeks running through his property. Land-Note 8 Oct 1894 GEM--M1: Gembrook Oct 8th 1894. The Secretary for Lands. Sir, In reply to your inquiry as to where I resided during the two and half years of currency of my licence that was unaccounted for in my application for lease. I beg to inform you that for one year I was away at work and the other year + half I lived at Gembrook about 3 miles away, during wich time I did about 6 months work on the land getting ready to build house + make the garden, but I did not actually reside upon the land until the house was built, at which time I had four acres grubbed, cleared off and ploughed. Trusting these explanations are satisfactory. Land-Note 27 Nov 1901 GEM--M1: De Courcy Ireland, Solicitor &c. Harkaway (previously Beaconsfield). Nov 27 1901. The Secretary for Lands Melbourne. Sir, Mr William Sanderson has handed me your letters of the 28 June 1894 in respect to his selection of land under Sec 42 Land Act 1884 in the Parish of Gembrook containing 117 acres. He is now desirous of obtaining a crown Grant for the land and as he has mislaid the form of application which you enclosed has asked me to obtain another form. Will you kindly forward me same and at the same time inform me what amount is due on the land together with the fees &c. to enable him to the Grant. I have the honour to be Sir, your obedient servant. De Courcy Ireland. Land-Note 20 Nov 1902 GEM--M1: Malleson, England & Stewart. The Secretary for Lands, No 1666/42.44 Re Wm Sanderson. Referring to your letter of 12th Nov under above number we have the matter now in hand and will pay the balance of rents, grant fee &c. in the course of a few days. We shall be glad if you will address any further correspondence to us and we will see that no delay takes place in answering same. Land-UBeac* 24 Nov 1902 GEM-E-3D. Transfer from William Sanderson to Sophie Mary Souter. 116a 1r 31p - Transfer of Lease of an Agricultural Allotment (Section 44) continuation of the term of fourteen years - cancelled 4 Feb 1903 No 2565. [S187] Familysearch ""England Births and Christenings, 1538-1975," index, FamilySearch (https://familysearch.org/pal:/MM9.1.1/NB6V-8BM : accessed 27 Nov 2014), William Sanderson, 15 Mar 1818; citing , reference ; FHL microfilm 0991746, 0991747." [S81] Land Records, Parish Maps & Council Rate Books. ; PROV (Public Records Office Victoria), VPRS 5357/P0000/3631 1666/44. SOPHIE SOUTER. GEMBROOK 3D E. 116--1--31. 1884 - 1903. [S185] Property Titles. ; PROV (Public Records Office Victoria), Lease 686-019 - William Sanderson of Upper Beaconsfield Farmer. [S81] Land Records, Parish Maps & Council Rate Books. ; PROV (Public Records Office Victoria), VPRS 5357/P0000/3631 1666/44. [S66] Berwick Shire Rates, 1870-1965 paid rates 1892+1893. [S3] Registry of Births Deaths and Marriages Edwardian Index Victoria 1902-1913 "#D8257 age 87 [par unknown] (as Saunderson)." [S11] Newspaper - Argus 30 Sep 1902 p1. Transfer registered 6 Dec 1902. [S83] Online index to the UK census "Class: HO107; Piece: 1071; Book: 8; Civil Parish: Cobham; County: Surrey; Enumeration District: 7; Folio: 16; Page: 22; Line: 12; GSU roll: 474661." [S83] Online index to the UK census "Class: HO107; Piece: 1592; Folio: 604; Page: 12; GSU roll: 193489." [S83] Online index to the UK census "Class: RG 9; Piece: 420; Folio: 105; Page: 28; GSU roll: 542634." 4-341-A Sanderson William M 85 30/09/1902 363. (Migrant) Migration/Travel 3 Oct 1884 To Melbourne, VIC, Australia. Ship On the ship "Potosi"
Probate (Will)* 141/864. Orchardist. Beaconsfield. [S11] Newspaper - Argus 25 Nov 1915 p1. [S35] Probate Records, PROV (Public Records Office Victoria), VPRS 28/P3, unit 583; VPRS 7591/P2, unit 536. [S80] Ancestry - Family Tree, Robert Bruce. [S12] Newspaper - South Bourke and Mornington Journal South Bourke and Mornington Journal (Richmond, Vic. : 1877 - 1920; 1926 - 1927), Thu 1 May 1913, p5. [S19] Newspaper - Berwick Shire News and Pakenham and Cranbourne Gazette "1 Dec 1915, p2." [S196] Newspaper - Dandenong Advertiser and Cranbourne, Berwick and Oakleigh Advocate (Vic. : 1914 - 1918) "2 Dec 1915, p2." [S1] Registry of Births Deaths and Marriages Pioneer Index Victoria 1836-1888 "no registration found." [S185] Property Titles. ; PROV (Public Records Office Victoria), C/T 2445-872 - Mortgage No 342587 - discharged 19 Jun 1916. [S185] Property Titles. ; PROV (Public Records Office Victoria), C/T 3032-369 - Adelaide Ward to Jeannie Adams - discharged 19 Jun 1916. [S185] Property Titles. ; PROV (Public Records Office Victoria), C/T 2445-872 - Thomas Herbert Keck of 456 Lonsdale Street Melbourne Orchardist - C/T 4662-244. [S11] Newspaper - Argus 25 May 1940, p4. [S12] Newspaper - South Bourke and Mornington Journal 14 Nov 1912, p2. Death-Notice* 19 Mar 1953 FISHER. Frederick William - On March 18 (suddenly), at Melbourne, the dearly loved husband of Lilian Fisher, of Dovercourt, Beaconsfield Upper. Sir: I have read with interest (17/8/46) of the critical operation that was performed aboard the Themistocles on her 78th voyage to Australia. I was one of the original crew who went from England to Belfast to board her when she came off the slips. I was a baker. I am wondering whether there are any others of that crew who may remember that wild night going across the Irish Channel? The first trip made by the Themistocles was to Spithead to attend the naval review. There were 900 guests on board. [S83] Online index to the UK census "1891 census. Father Richard, a painter, mother Emma, 3 children George, Ernest and Frederick." [S185] Property Titles. ; PROV (Public Records Office Victoria), C/T 5582-254 - Mortgage to Walton Henry McManus and George Ernest McManus - discharged 31 Mar 1938. [S185] Property Titles. ; PROV (Public Records Office Victoria), C/T 2855-962 - Frederick William Fisher of "Dovercourt" Upper Beaconsfield Pastrycook. [S61] Upper Beaconsfield History Archive ,"Had a rifle accident and killed himself -Larry OSBORN says." [S11] Newspaper - Argus 19 Mar 1953 p16. [S185] Property Titles. 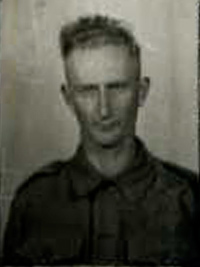 ; PROV (Public Records Office Victoria), C/T 5582-254 - Frederick William Fisher died on 18 March 1953. Probate of his will has been granted to Lilian Fisher of 7 Hampton Street Hampton Widow. [S185] Property Titles. ; PROV (Public Records Office Victoria), C/T 5582-254 - transfer to Frederick James Pask of "Windermere" Ferntree Gully Road Oakleigh Market Gardener - C/T 8057-814. [S185] Property Titles. ; PROV (Public Records Office Victoria), C/T 2855-962 - transfer to Frederick James Pask - C/T 8057-814. [S15] Newspaper - Village Bell "018-1981, p9." 1-310-A Fisher Lilian F 80 28/12/1973 1681. [S11] Newspaper - Argus 24 Aug 1946, p5. Death-Notice* 20 Oct 1927 LOCKEY.-On the 18th October, at his residence, Redland, Beaconsfield Upper, Percy Vernon, beloved husband of Eleanor K Lockey, aged 57 years. 22 Oct 1925, Motor Traffic. Collision in Burwood-road. Both Drivers unlicensed. As an outcome of a collision in Burwood road, in which two motor cars and a motor cycle were concerned, the driver of one of the cars, Percy Lockey, of Upper Beaconsfield, was charged at Hawthorn yesterday with having driven in a dangerous manner, and the driver of the motor cycle, David Sloan, of Morang-road, was charged with having driven negligently. Both were also charged with having driven without a licence. Mrs Frances Mould said that on the 10th September, she was driving a car along Burwood road, when Sloan's motor cycle came suddenly out of Morang road, narrowly avoided witness's car, and swerved across the road in front of another car. Witness did not see the collision, but she heard the crash. Sloan said that as he came out of Morang road he took all precautions, and did not cut the corner. The accident was due to the speed of Lockey's car. Witness admitted that he had not taken out a licence. Lockey said he was only driving at a moderate speed. The motor cycle, in edging the first car, swung right right across his track. Witness's car struck the back wheel of the cycle, causing it to overturn. Witness admitted his licence had expired. Sloan was fined £3, with 19/ costs, on the negligent driving charge, and 20/ on the no-licence charge. [S83] Online index to the UK census "1871 census: father a beer and wine merchant." [S185] Property Titles. ; PROV (Public Records Office Victoria), C/T 1496-040 - Percy Vernon Lockey of Sargood Street Toorak Electrical Engineer and John Wilfred Rutty of Darling Street South Yarra Electrical Engineer - proprietors as tenants-in-common in equal shares - C/T 3667-394. [S185] Property Titles. ; PROV (Public Records Office Victoria), C/T 3667-394 - John Wilfred Rutty of Darling Street South Yarra Electrical Engineer - C/T 3667-396 (Lockey transferred his interest to Rutty). [S185] Property Titles. ; PROV (Public Records Office Victoria), C/T 3667-394 - Percy Vernon Lockey of Sargood Street Toorak Electrical Engineer (Rutty transferred his half interest to Lockey) - C/T 3667-395. [S185] Property Titles. ; PROV (Public Records Office Victoria), C/T 3667-396 - Percy Vernon Lockey of Upper Beaconsfield Electrical Engineer. [S5] Registry of Births Deaths and Marriages Death Index Victoria 1921-1985 "#D13279 age 57 [par LOCKEY & VERNON]." [S11] Newspaper - Argus 20 Oct 1927 p1. [S35] Probate Records, PROV (Public Records Office Victoria), VPRS 28/P3, unit 1818; VPRS 7591/P2, unit 768. [S185] Property Titles. ; PROV (Public Records Office Victoria), C/T 3667-394 - Percy Vernon Lockey died on 18th October 1927. Probate has been granted to the Equity Trustees Executors and Agency Company Limited of 85 Queen Street Melbourne. [S185] Property Titles. ; PROV (Public Records Office Victoria), C/T 3667-394 - Eleanor Kate Lockey of "Redland" Upper Beaconsfield Widow - C/T 5543-431. [S83] Online index to the UK census "Class: RG10; Piece: 2569; Folio: 13; Page: 18; GSU roll: 835269." [S9] Free BMD. Index. Online @ https://www.freebmd.org.uk/ "father's death Sep 1872 [Clifton] (Age 44) 6a 97." [S83] Online index to the UK census "Class: RG11; Piece: 2504; Folio: 25; Page: 43; GSU roll: 1341604. Class: RG11; Piece: 2571; Folio: 33; Page: 20; GSU roll: 1341620." 4-037-A Lockey Eleanor Kate F 83 12/01/1966 1534. [S16] Newspaper - The Age 22 Oct 1925, p13. [S11] Newspaper - Argus 17 Oct 1927, p15. [S35] Probate Records, PROV (Public Records Office Victoria), VPRS 28/P4, unit 3736; VPRS 7591/P3, unit 634. [S128] Electoral Roll for Australia, 1928 "Eleanor - house not defined." Death-Notice* 5 Feb 1953 CESSOR, Phyllis Vernon. - On February 4, at her home, Clifton, Harkaway road, Berwick, the dearly loved wife of Leonard Cessor, and loving eldest daughter of Eleanor Kate and the late Percy Vernon Lockey. -In God's care. [S5] Registry of Births Deaths and Marriages Death Index Victoria 1921-1985 "#D16385 age 51 -- as CESSOR." [S65] Ancestry - various indices, London Baptisms. [S35] Probate Records, PROV (Public Records Office Victoria), VPRS 28/P4, unit 514; VPRS 7591/P2, unit 1607. 4-040-B Cessor Leonard M 78 1/06/1984 1935. [S22] Victorian Government. BDM Index Victoria (online) "#D12012 gives birth place as Lake Tyers." [S5] Registry of Births Deaths and Marriages Death Index Victoria 1921-1985 "#D12012 age 78 [par unknown]." 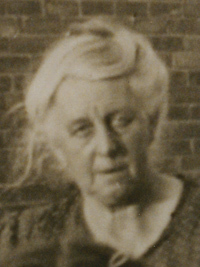 Death-Notice 7 Jun 1949 FUNNELL.—On the 6th June, at Canberra Community Hospital, Amy Funnell, loving mother of Queen (Mrs. W. M. Wintle) and loving grandmother of Bill, and Ann. Late of Upper Beaconsfield, Victoria. Death-Notice 8 Jun 1949 FUNNELL.-The Friends, of the late Mrs. AMY FUNNELL are notified that her Funeral will leave the home of her son (Mr. Robert Funnell), St. George's road, Beaconsfield Upper, TOMORROW (Thursday), after a service by the Rev. R. G. Mountney, commencing at 3.30 p.m., for the Berwick Cemetery. [S61] Upper Beaconsfield History Archive ,"Interview with Victoria FUNNELL (nee BAKER)." [S9] Free BMD. Index. Online @ https://www.freebmd.org.uk/ "Sep Q [Lewisham] 1d 1528." [S36] Inward & outward passenger lists to and from Victoria. Series: VPRS 14; 7666; 7667; 7786); PROV (Public Records Office Victoria), B884/004. [S185] Property Titles. ; PROV (Public Records Office Victoria), C/T 2032-322 - Amy Funnell of Bryn Gwyn Upper Beaconsfield Married Woman - C/T 3864-735. [S185] Property Titles. ; PROV (Public Records Office Victoria), C/T 3864-735 - Mortgage No 437102 - Mortgagee John Henry Smith - discharged 14 Jan 1924. UK, Outward Passenger Lists, 1890-1960 [database on-line]. [S185] Property Titles. ; PROV (Public Records Office Victoria), C/T 3902-306 - Arthur Blackwood Davy to Amy Funnell of Upper Beaconsfield Married Woman. [S5] Registry of Births Deaths and Marriages Death Index Victoria 1921-1985 "#D9950 age 75 [par Edward FUNNELL]." [S185] Property Titles. ; PROV (Public Records Office Victoria), C/T 4038-418 - transfer as to one undivided half part as to balance to Amy Funnell - C/T 6119-603 other half remains on original title. [S185] Property Titles. ; PROV (Public Records Office Victoria), C/T 4702-300 - Amy Funnell Widow and Henry Edward Frederick Funnell Manufacturer both of 19 Walstab Street Brighton - joint proprietors. [S185] Property Titles. ; PROV (Public Records Office Victoria), C/T 3864-735 - Arthur Francis James Funnell of "Grassmere" Upper Beaconsfield Orchardist. [S185] Property Titles. ; PROV (Public Records Office Victoria), C/T 3902-306 - Amy Funnell to Robert James Lionel Funnell of St Georges Road Upper Beaconsfield Driver. [S50] Miscellaneous Source, ACT BDM: #D1331/1949 ACT. [S14] Newspaper - The Canberra Times, 7 Jun 1949, p2. [S11] Newspaper - Argus 7 Jun 1949 p14. [S11] Newspaper - Argus 8 Jun 1949 p13. [S68] British Census Index, England "RG11 0728/99 p65. Father Henry was a gardener." [S65] Ancestry - various indices, 1911 census: Class: RG14; Piece: 4996; Schedule Number: 29. [S101] Electoral Roll for Australia, 1903 - 1980 "1934 + 1936 rolls." 4-691-B Funnell Arthur Francis James M 73 9/06/1968 1585. [S11] Newspaper - Argus 24 Jan 1920 p25. Funnell Road named after him and his family. Death-Notice* 11 Nov 1936 FUNNELL-On the 10th November at St Vincent's Hospital Frederick loved husband of Amy and father of Frederick, Arthur, Queenie (Mrs Wintle) and Robert aged 75 years. - At rest. FUNNELL.—The Friends of the late Mr. FREDERICK FUNNELL are respectfully in vited to follow his remains to the place of interment in the Berwick Cemetery. [S9] Free BMD. Index. Online @ https://www.freebmd.org.uk/ "Mar Q [E. Grinstead] 2b 119." [S185] Property Titles. ; PROV (Public Records Office Victoria), C/T 2032-322 - Frederick Funnell of Bryn-Gwyn Upper Beaconsfield Orchardist - C/T 4038-418. [S185] Property Titles. ; PROV (Public Records Office Victoria), C/T 4038-418 - William Warren Kerr of William Street Melbourne Insurance Broker - C/T 4181-043. [S185] Property Titles. ; PROV (Public Records Office Victoria), C/T 4038-418 - William John Home of Collins Street Melbourne Solicitor - C/T 4383-437. [S11] Newspaper - Argus 11 Nov 1936 p1. [S185] Property Titles. ; PROV (Public Records Office Victoria), C/T 4038-418 - Frederick Funnell died on 10 Nov 1936. Probate of his will has been granted to Amy Funnell of Upper Beaconsfield Widow and Henry Edward Frederick Funnell of 381 Hampton Street Middle Brighton Manufacturer. [S50] Miscellaneous Source, Census 1881 England RG11 - 1060 - 96 - 4. [S11] Newspaper - Argus 10 Jun 1930 p14. [S11] Newspaper - Argus 11 Jan 1939 p2. [S9] Free BMD. Index. Online @ https://www.freebmd.org.uk/ "Dec Q [E. Grinstead] 2b 144." [S185] Property Titles. ; PROV (Public Records Office Victoria), C/T 4192-206 - Henry Edward Frederick Funnell of 381 Hampton Street Middle Brighton Manufacturer. [S185] Property Titles. ; PROV (Public Records Office Victoria), C/T 4192-206 - Thomas Brady of Upper Beaconsfield Garage Proprietor. Arthur Francis James Funnell enlisted on 4 Oct 1916, aged 20 and working as a farm labourer. His unit, the 57th Batallion, embarked from Melbourne on 16 Dec 1916 on board HMAT A7 Medic. SERN 3153. He returned to Australia on 21 July 1918, after suffering a severe gunshot wound to his back. [S5] Registry of Births Deaths and Marriages Death Index Victoria 1921-1985 "#D12456 age 73." [S9] Free BMD. Index. Online @ https://www.freebmd.org.uk/ "Dec Q [E. Grinstead] 2b 146."